We are very proud of our two newest college graduates, Sinat and Sophat, who just completed work on their Bachelor’s degrees in Hospitality and Tourism from Build Bright University. 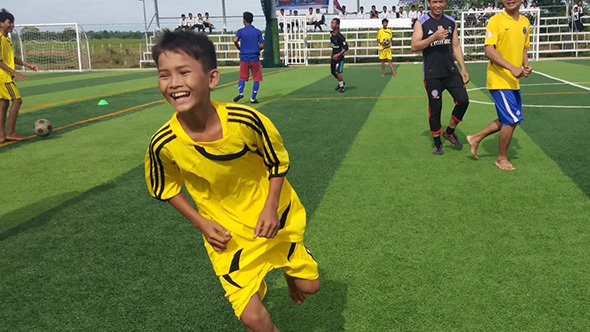 Sinat and Sophat have been best friends since growing up together in Kaun Khlong Village. Sinat (left in photo, above) became a scholarship student in May 2011 when she was in the 10th grade. Now 22 years old, Sinat completed college in 4 years with excellent grades, while working full time as a cook at a restaurant. 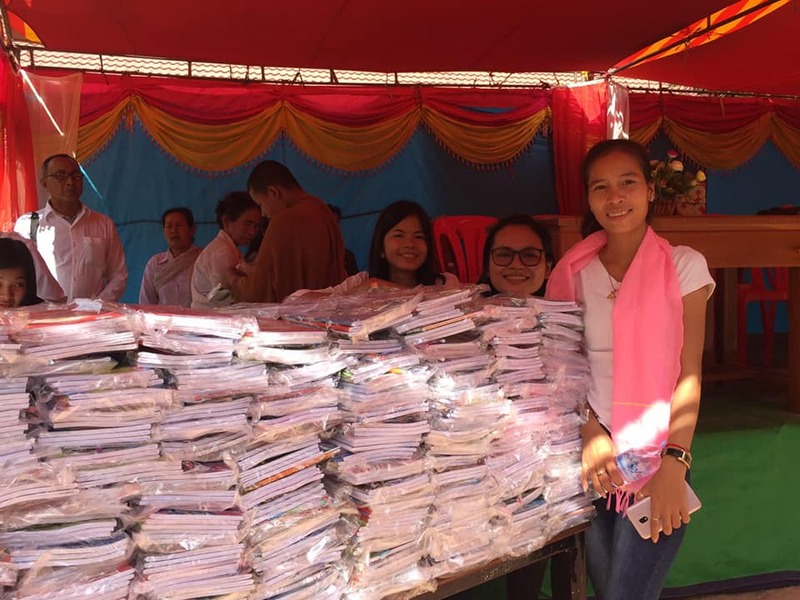 Sinat wants to find a job developing the tourist industry in her home province, Battambang. Twenty-two year old Sophat was one of our first scholarship students, receiving her scholarship in the fall of 2010, just as she was entering the 10th grade. Like Sinat, Sophat also worked in a restaurant while going to college. Now that she’s finished with her education, Sophat hopes to get a job in a hotel and eventually own her own restaurant. Sophat and Sinat join our 4 other college graduates, all of who have good jobs and are pursuing their dreams. 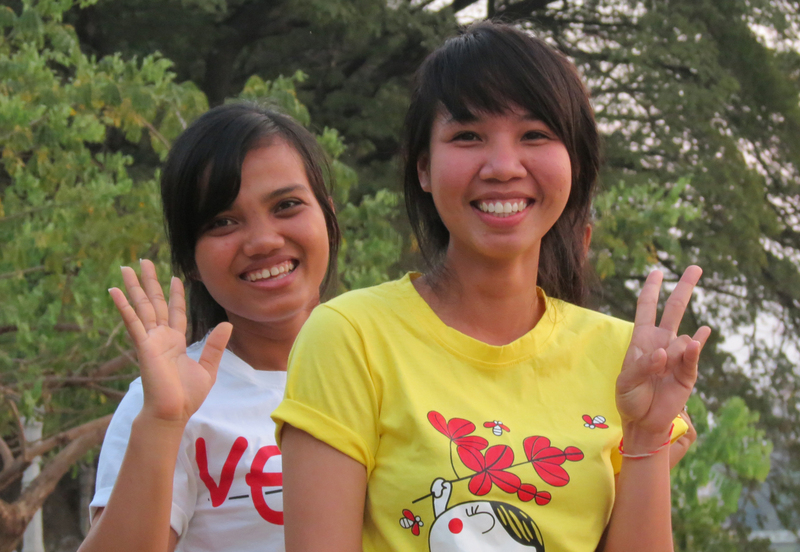 Two more scholarship girls, Rosha and Sokhom, will also graduate later this year.